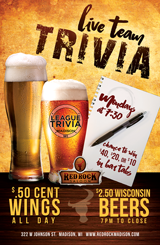 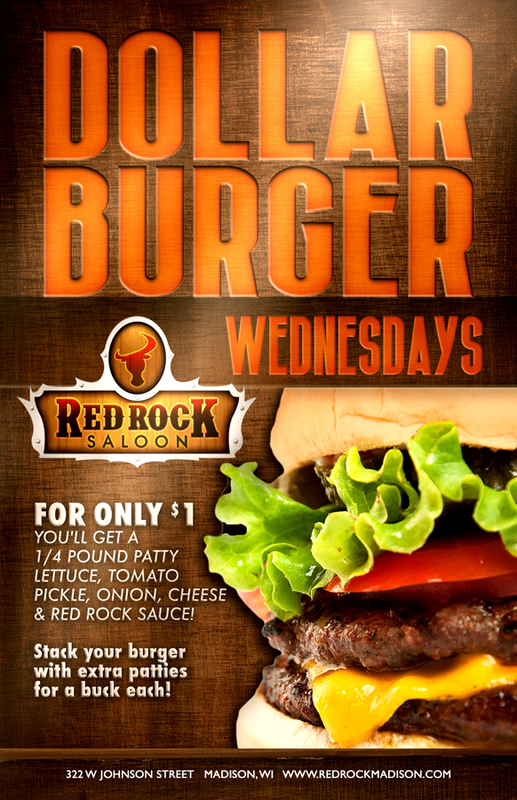 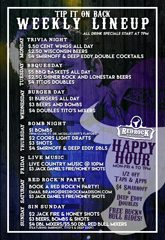 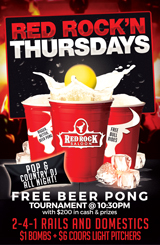 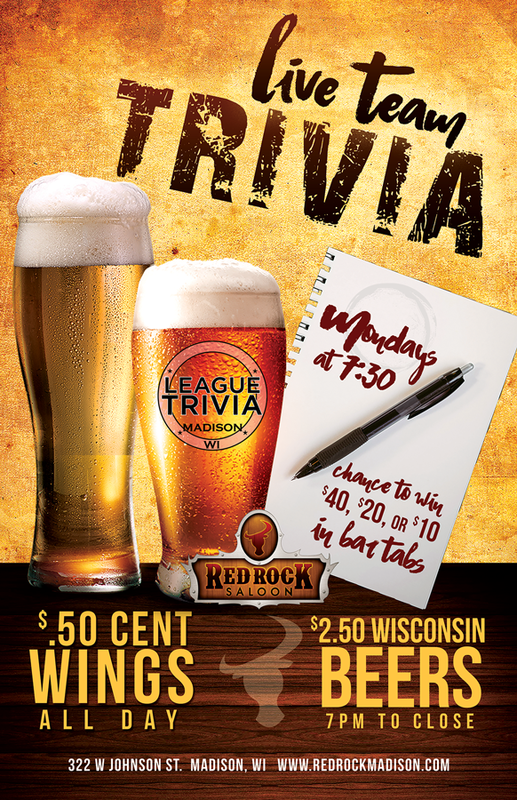 Each night of the week, Red Rock Saloon has something going on! 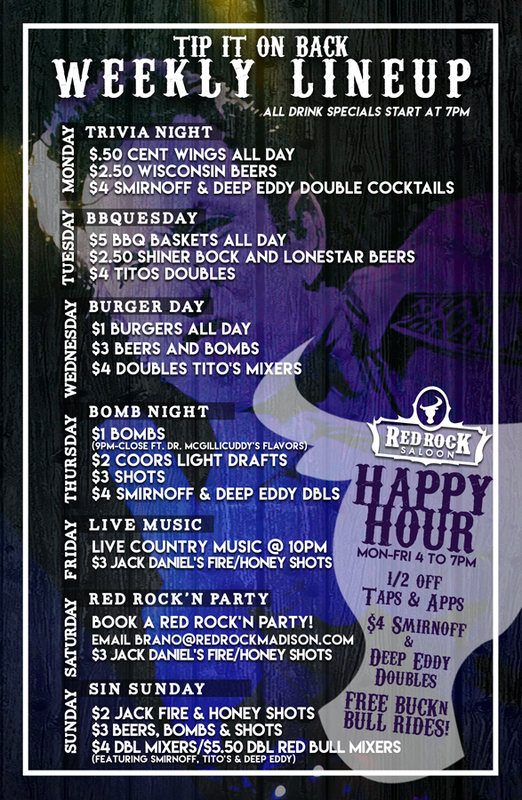 Stop in any night for a great, one of a kind experience! 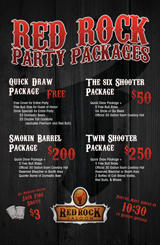 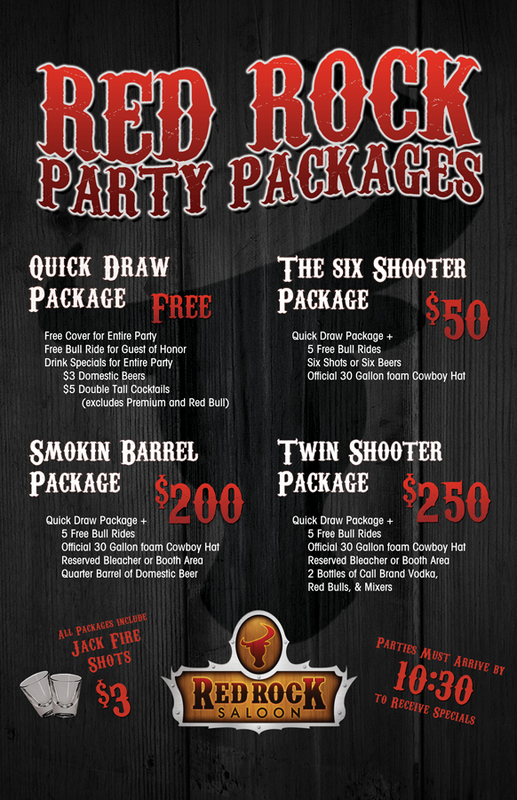 Make sure to reserve your party package for your next event!